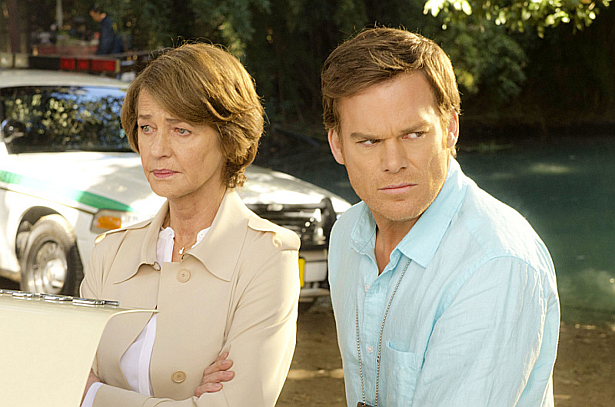 Former Dexter special guest star Charlotte Rampling gets her first Oscar nod. Rampling 69, who played the role of Evelyn Vogel in 10 episodes of Dexter's final season gets nominated for her role on '45 Years'. The film follows the story of a married couple who preparing to celebrate their wedding anniversary and receives shattering news that promises to forever change the course of their lives.